Beautiful blooms, expansive menus and whimsical decor added a unique vibe to Sumiti and Ramit's wedding celebrations in New York. 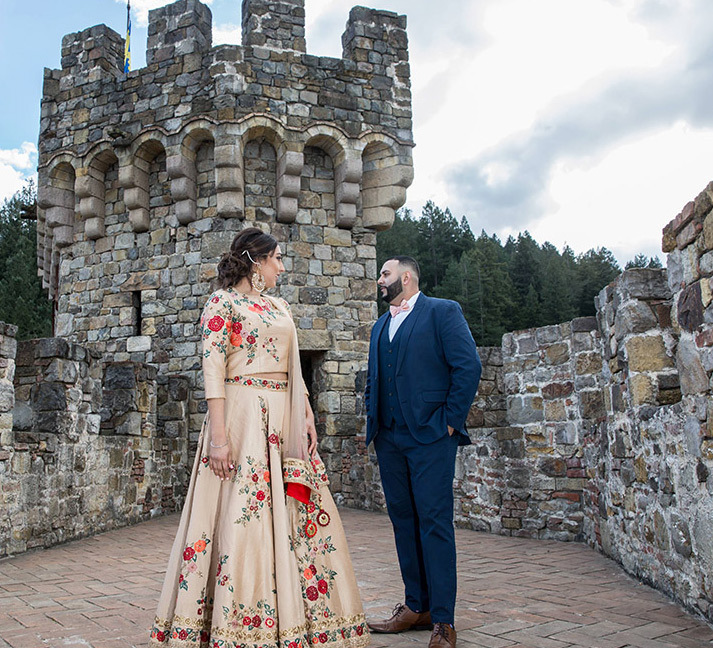 From an exotic ambiance at the sangeet to a dreamy pink mandap at their outdoor wedding ceremony, Sumiti and Ramit put a lot of emphasis on unique decor details for all their functions. Here, we share the details of their special day. The sangeet kickstarted the celebrations. 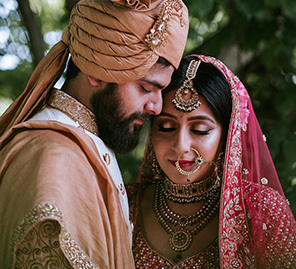 It was hosted at the Akbar - Long Island restaurant where lush foliage elements, twinkling lights, and whimsical decor elevated the vibe of this function and transported the guests to an unforgettable, magical world. Natural details such as the beautiful wooden barrels paired with rustic metal lanterns created a romantic forest feel. A mixture of light and dark floral hues blended together in a picture-perfect way. Since it was a prelude to their upcoming wedding, the couple wanted their guests to enjoy and soak in the festivities with sumptuous food, unlimited cocktails and dance performances. The mandap was decorated in pink and beige, and fresh blooms were used to add a delicate touch to the setup. The pathway leading the mandap was lined with beautiful floral arrangements fixed atop transparent stands. The colors of the floral arrangements matched those that fringed the front of the outdoor mandap, thereby making for a cohesive look throughout. The bride wore a bright pink lehenga embellished with beautiful gold threadwork. She paired it with a matching sleeveless blouse a light dupatta. The bridesmaids also wore bright pink sarees. 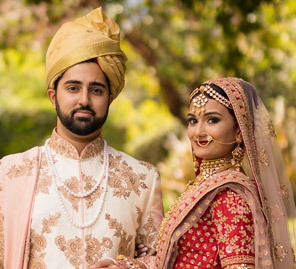 Ramit looked regal in his white sherwani which he paired with a deep maroon stole and turban. Their wedding transitioned into a glamorous reception party at The Carltun. The dance floor and the exquisite crystal chandeliers made for a glitzy decor setup. The juxtaposition of gold with rustic browns and pastel blooms blended beautifully. The metallic gold added a brightness that helped to enhance the warm colors of the floral arrangements. The couple even planned for interesting food counters which were decorated giving it quite an ethereal setting. 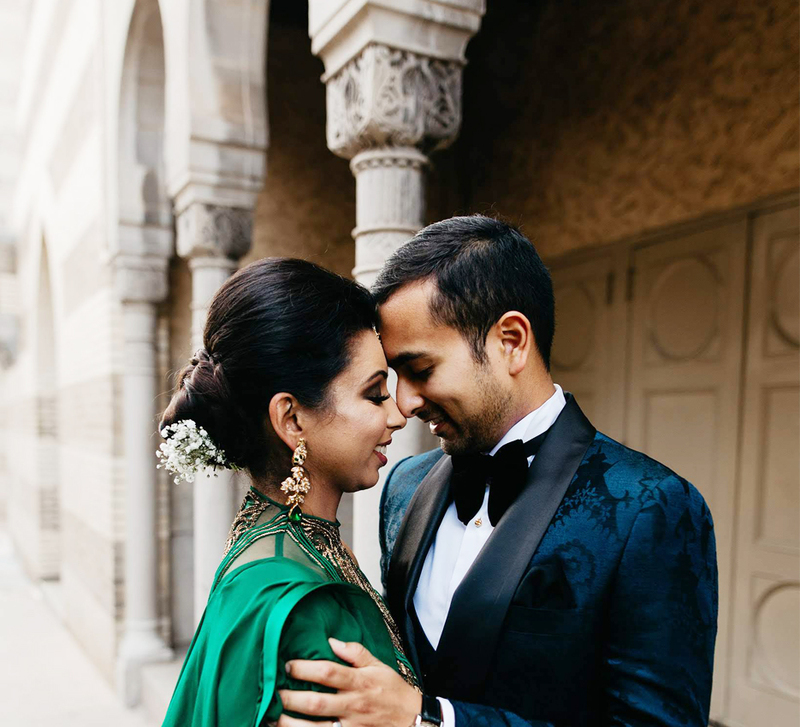 Sumiti wore a dazzling gold lehenga for the reception, and Ramit opted to wear a classic black tuxedo.